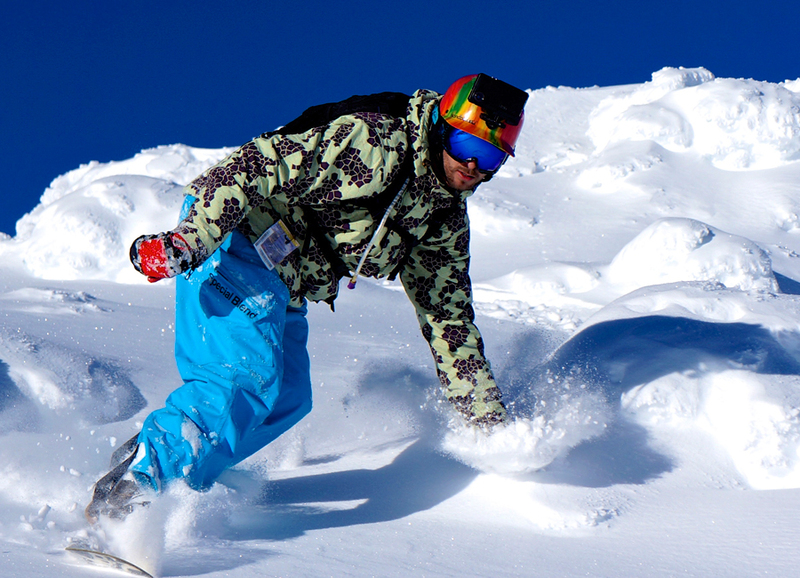 We all love action cameras, but it is hard to justify laying down two to four hundred dollars for a camera that can take a beating, when you already own a point and click camera along with a phone that takes comparable if not higher quality images. The Hitcase Pro is the solution to that dilemma with a shockproof and waterproof case that captures those moments you have been missing because you don’t have a waterproof camera or the fear of breaking. 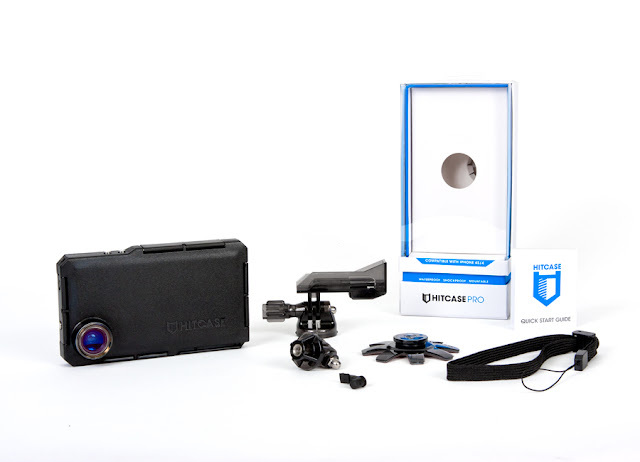 Made for wide angled shots, the Pro kits comes with a helmet mount, wrist strap, and tripod/monopod adapter. The Hitcase Pro opens once the three latches are unfastentened, drop your phone in place, secure, and you are ready to go. This case makes me feel secure with taking my phone with me into hairier situations as it has a rubber shock absorbing layer between case and phone and the surrounding latches to create an airtight fit allowing use for underwater shots or just control music from the comfort of your pool. While all works as advertised, providing a whole new level of security with my phone, there were two items I was not a particular fan of. The first was the size, it was a bit bulky for my liking, so I never left the Hitcase Pro on my phone, only used it as needed. The other is the mount, while nice and snug when clean, but removing is difficult enough, get dirt in the track or wet and the rail sticks to the mount, taking a fight to remove. The video app, Vidometer, is a gem in it’s own rite, as it has an overylay providing telometry data to keep your stories beleivable. The app is easy to use as it looks just like camera app but the telemetry data is overlayed to show speed, altitude, G-Meter, heading, latitude, longitude, and best of all it is free. That is not all, as you can also change the telemetry overlay, move it around, and change the color scheme. 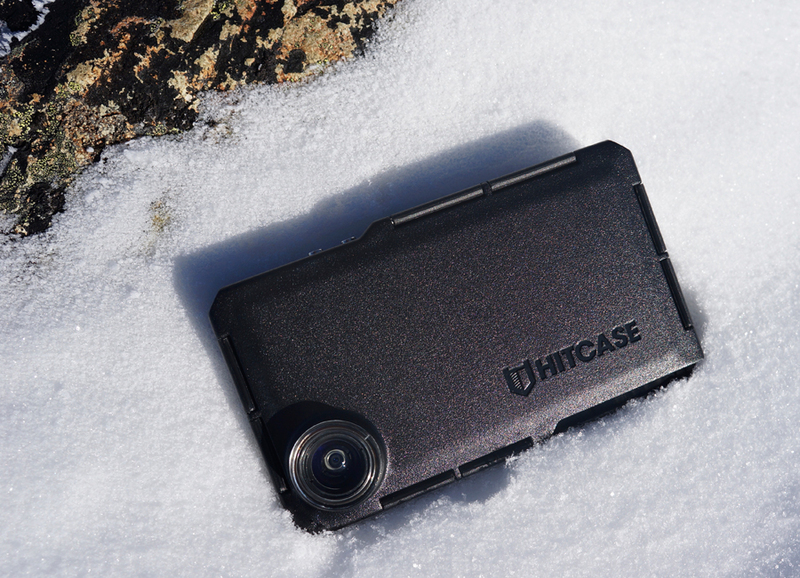 The Hitcase, while being a bit of an eyesore is still an affordable way to turn your phone into an action camera with a Video Recorder App that does what a number of action cameras on the market currently can not do, and that is provide telemetry. My only word of advice is make sure the rail is clean or it will become difficult to remove from the mount.